Japan obviously rules the roost when it comes to the diversity of Kit-Kat flavours, but this shop centred on the cult wafer choc will likely draw in both domestic and international fans of the lucky bar. 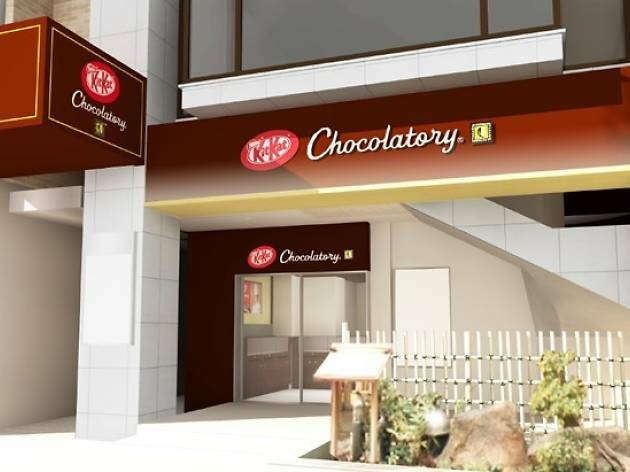 Set in Ginza, it's the first-ever high street Kit-Kat shop – all the other Chocolatories are located inside department stores. Besides a whole new lineup of funky Kit-Kats overseen by patissier Yasumasa Takagi, there's also an eat-in space on the second floor with Kit-Kat madeleines and much more. Apparently you can even customise your Kit-Kat with ingredients of your choice – in other words, it's a whole new way of taking a break.